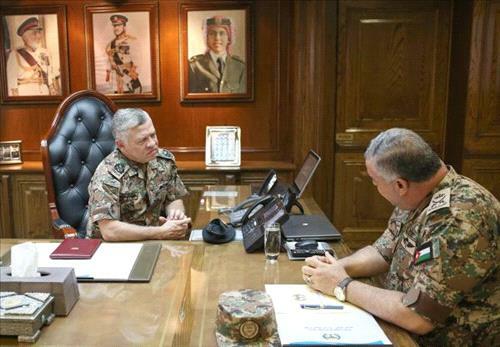 AMMONNEWS - His Majesty King Abdullah, the Supreme Commander of the Jordan Armed Forces-Arab Army, on Wednesday visited the General Command of JAF, where His Majesty was received by Chairman of the Joint Chiefs of Staff Lt. Gen. Mahmoud Freihat. King Abdullah met with Freihat and discussed a number of operational, training, and logistic issues concerning the JAF. His Majesty also checked on the readiness of JAF units and formations, commending their advanced level in terms of armament and training.